WASHINGTON – Two leaders in the Senate announced July 20 that they are sponsoring a bipartisan bill that offers a legal solution for certain undocumented immigrants who were brought to the United States as children – an important step for many students on Christian college and university campuses across the country. Demonstrating proficiency in English and a knowledge of U.S. history. 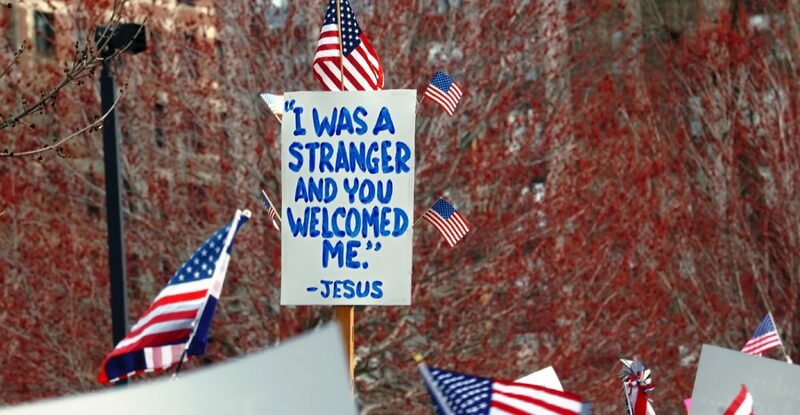 The CCCU is a member of the Evangelical Immigration Table (EIT), a broad coalition of evangelical organizations that has also expressed support for today’s development. The EIT promotes the need for comprehensive immigration reform that respects both the dignity of every person and the rule of law, while also ensuring both fairness to taxpayers and protection of family unity. The Spring 2014 issue of CCCU’s Advance magazine included a feature article that outlined the CCCU’s history of support for the DREAM Act and its reasons for that support, as well as included interviews with CCCU students who were undocumented. 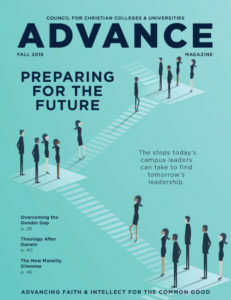 The Fall/Winter 2013 issue of Advance included a feature essay by Warner Pacific College President Andrea P. Cook about the important need for Christian colleges and universities to promote the growth and flourishing of underrepresented communities, as well as interviews with several students from CCCU campuses across the country.